The Quality Payment Program is comprised of four performance categories: Cost, Quality, Advancing Care Information (ACI) and Improvement Activities (IA). The first three categories (Cost, Quality and ACI) are based on historical quality programs. 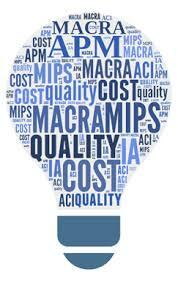 However, Improvement Activities is a new category introduced by CMS at the beginning of the Quality Payment Program in 2017. Improvement Activities (IA) includes an inventory of activities that assess how you improve your care processes, enhance patient engagement in care, and increase access to care. The inventory allows you to choose the activities appropriate to your practice from categories such as: enhancing care coordination, patient and clinician shared decision-making, and expansion of practice access. Join us on our upcoming webinar where we will provide an overview of the Improvement Activities category. In addition to reviewing the Year 2 changes, we will discuss how this category and associated clinical and/or process interventions can be a catalyst for continuous improvement.